The Short & Sweet recruiting promotion is here! It IS short: It only lasts from August 21-28. 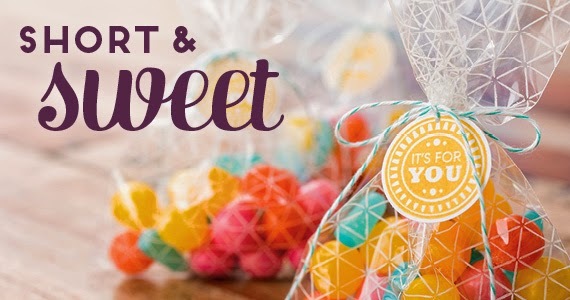 And it IS sweet: New recruits will receive $150 in their choice of Stampin' Up! products for the $99 starter kit price…won't have to pay for shipping either! It's a great deal, amazing business opportunity, AND it's only available for a short time!!! 20% (or more!) off all your Stampin’ Up! goodies! Extra $$ to support your habit (I mean hobby!) or start your own business! JOIN ME and my Create Happy Crew! For one week only! We’d love to welcome you to the CREW!